New FEC for Digital Congo on 3638.00MHz, pol.R: FEC:3/4 ( SR:3716 SID:6 PID:5458[MPEG-4]/5459 - BISS). 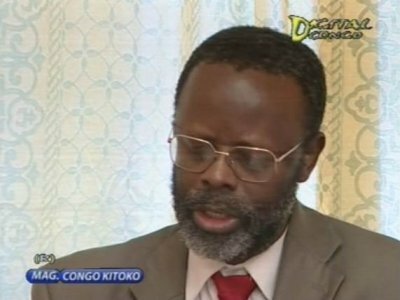 A new channel has started in DVB-S2 BISS: Digital Congo (Congo) on 3638.00MHz, pol.R SR:3716 FEC:5/6 SID:6 PID:5458[MPEG-4]/5459. New frequency for Digital Congo: 3985.00MHz, pol.R (DVB-S SR:13555 FEC:5/6 SID:2 PID:513/769 French- Clear). Digital Congo has left 4052.00MHz, pol.R (DVB-S SID:2 PID:513/769 French), it is no longer transmitted by satellite in Europe. New SR for Digital Congo on 4052.00MHz, pol.R: SR:10148 ( FEC:3/4 SID:2 PID:513/769 French - Clear). A new channel has started in DVB-S Clear: Digital Congo (Congo) on 4052.00MHz, pol.H SR:8552 FEC:3/4 SID:2 PID:513/769 French.